How difficult is the Island peak climb in Nepal? First of all you need experts who have your safety and success in mind. These notes are intended to assist you and better understand risks of going to altitude but still wishing to climb Island peak. This is brief information and questions answered on Climbing Island peak and not designed to be comprehensive in any way. If you decide to join one of our climbs we send you a 45 page full brief on the climb. Read some REVIEWS from our trips. I have climbed Island peak 10 times to date and happy to go through training plans, give full detailed kit list and explain how our Island peak climbs run. CLICK HERE for our packing video. 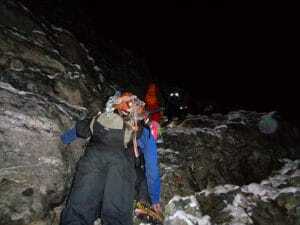 Ultimately climbing at altitude is a dangerous sport and claims many casualties each year. 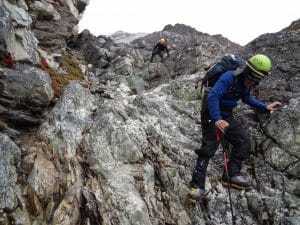 One of the guiding principals of mountaineering is that an individual climber takes responsible for his or her own safety. If you cannot accept this then this information and probably climbing in general is unlikely to suit you. 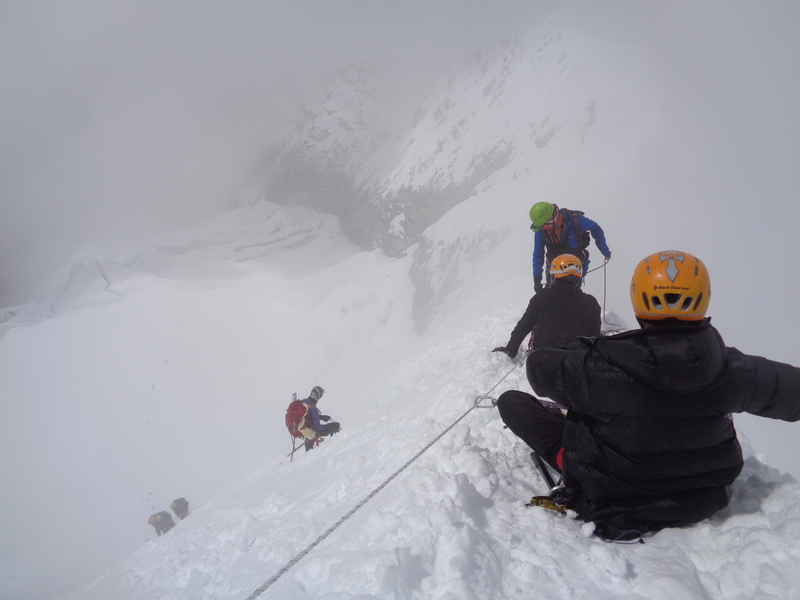 Read what one of our climbers had to say about their Island peak climb. Q: Where is Island Peak? Island peak is situated in the Everest region of Nepal right on the Nepalese, Tibetan border. Island peak is an extension of Lhotse and Everest. The ridge line drops of Lhotse and right onto the summit of Island peak. The Imja valley is home to amazing glaciers running down from 8,000m high in the unique mountain valley. 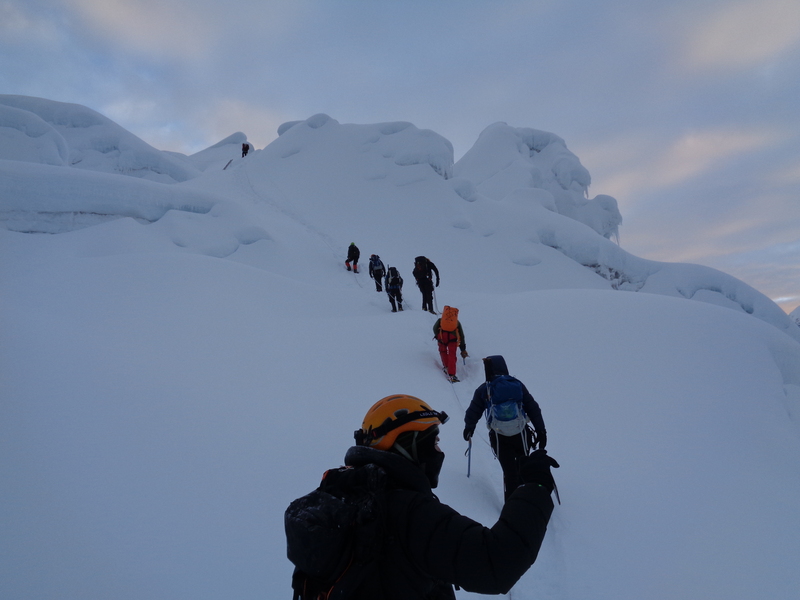 We have 3 Island peak climbing itineraries, the most popular includes an Everest base camp trek. Coming up through the gully 5,700m in the dark. You will be scrambling through some sections. There is really only one gateway to Island peak, and that is through the mountain town of Lukla.  We fly using Summit Air to Lukla from Kathmandu. This is a 27 minute flight into the mountains. If you are lucky you will see Everest from the flight into Lukla. You wont see Island peak until Dingbouche on day 6 or 7 into the trek. You have to trek through the Everest region to reach Island peak. As the sun comes up on Island peak, making our way through the glacier. Q: How difficult is the Island peak climb in Nepal? 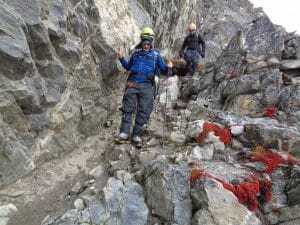 Climbing Island peak is not easy, but you can make it easier by spending more days on the trek in and on the mountain. You need to acclimatize to the lower levels of oxygen lower down on the trail. The summit statistics show most people are not summiting Island peak. 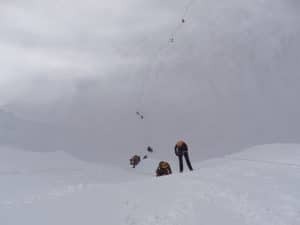 If you decide to climb Island peak on a 10 day trip you are making it a more dangerous and challenging endeavor. This really lowers your chances of success. We go for the summit on day 14 of our trip. You will be carrying a backpack with 5kg to 7kg so you need a good level of fitness, and excellent physical conditioning. Ideally you need to be able to do multi day trekking for 4 – 6 hours on the hills with a weighted backpack building up to carrying 10/12 kg in most of your training sessions. There is a range of training you can do if you are not close to the hills and need to rely on the treadmills, stair masters, bikes, jogging and weights. We can help you manage your time to get the best preparation possible with individual training programs. You also need to come competent in abseiling and with basic mountaineering skills. CLICK HERE for our top 10 tips for climbing Island peak. Q: When is Island peak usually climbed? The best months to climb Island peak are April, May, October & November. CLICK HERE for our upcoming trips. We choose not to climb in the rainy season, or in the extreme cold which limits chances of success. Q: How should I prepare myself for climbing Island peak? This all depends on where you are starting from in terms of your fitness, trekking and climbing experience. It could take as long as a year or as little as 4-6 months to prepare depending on your experience. The key aspects of success will come from your ability to adapt to the lack of oxygen, your technical experience and how you cope with living in a tent and look after your personal hygiene and stay positive in a mountain environment. You have to adapt to the environment, no showers, no TV, no real comforts and dealing living in close quarters with other people, some who you may not know. Keeping your mindset in a positive light will be vitally important to success. Hill walking is he most important training you can do, and be competent in abseiling. 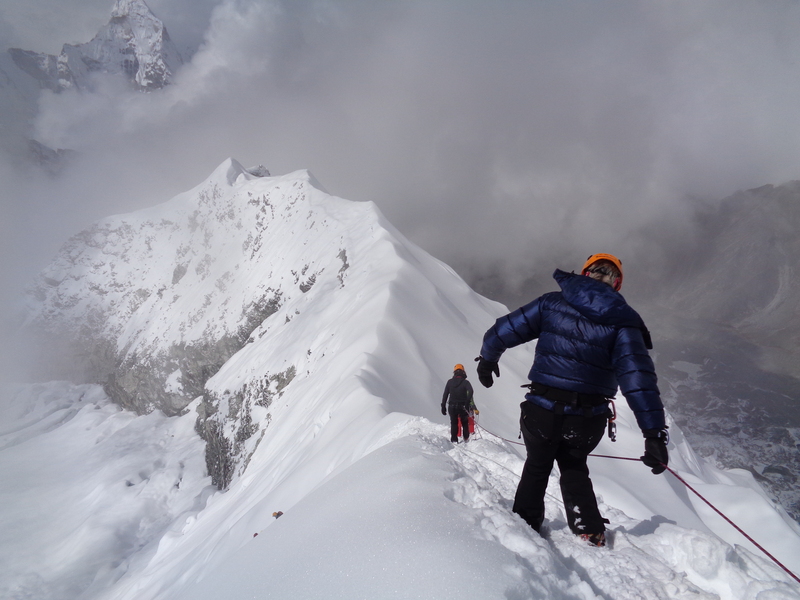 Simulating the conditions you will experience climbing on Island peak is the most important training. Also by adding extra weight to your backpack, gives excellent conditioning to the legs and body. When you get to the mountain you carry less weight and your body should know how to cope with the pressure it is put under at altitude. Here is some specific training advice for Island peak climbs. To start with you need well worn in hiking boots and proper mountaineering boots. We can recommend boots for you if you like. You need good gloves to keep your hands warm on summit night and gloves that you can use when climbing using ropes, carbines, adjusting figure of 8 and adjust all mountaineering equipment. Depending on the month it can be as low as -20c you need to wear a warm hat with buff to cover your mouth. A buff keep moisture in your mouth and keeps you from getting a dry throat, it also keeps your neck warm. You will need 4 layers for your summit bit, but could be one layer for the first couple of days on the trek into Isladn peak. It can be freezing most mornings in your tent, but once the sun comes out it can get warmer. A down jacket is a great piece of kit, you can wear at night while relaxing and you can use for your summit bid. You can request a full kit list from us when you sign up. Watch our Island peak packing video. On the summit of Island peak 20,305 feet high in the sky. You need to have a wide range of cloths. Watch our PACKING VIDEO 15kg is your weight limit for our yaks to carry. You will carry rain gear (for the many days on the trek), fleece, or down jacket, camera and 3 liters of water (depending on the day) You can wear shorts for the right number of days, but most people prefer trekking pant. Higher up you will use gortex shell and thermal underwear for summit night. 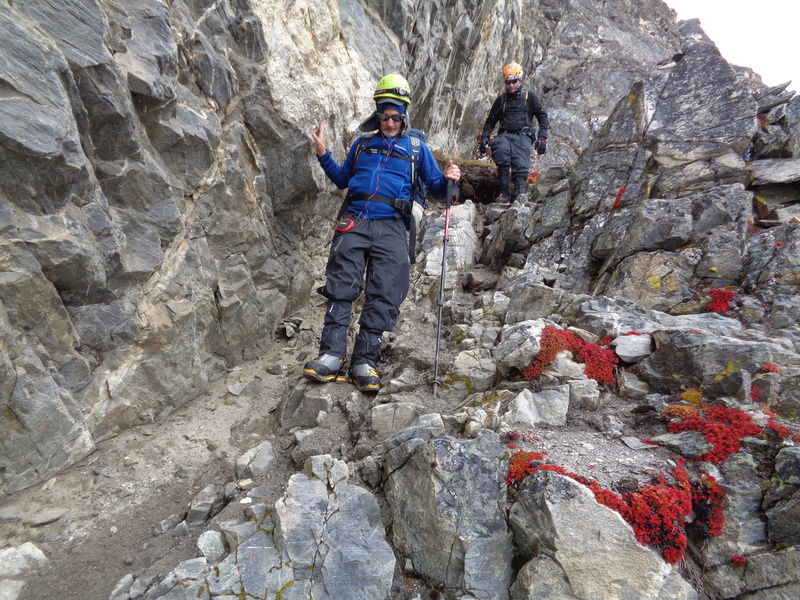 You will need sock liners, wool socks and a couple of light layers heading into Island peak base camp. Wicking layers (merino wool), mid weight fleece layer. Get in touch and we can supply you with a full kit list. Make sure you have trainers to change into once you reach the camp each day. Merino wool from Smartwool or Icebreaker are great layering products and I highly recommend them. You should be drinking 4 – 6 liters per day (ABSOLUTE MUST), your body dehydrates faster at altitude and you are exercising so keep drinking, your body is creating more red blood cells to carry oxygen faster around your body. Your blood thickens and therefore hydration plays a key part in keeping you healthy and your body working effectively at high altitude. You can use Disprin or Asprin in your water to thin out your blood, which will help you as you move higher on the mountain. The food is carefully chosen on different days depending on the exertion required. Loads of carbs, protein and necessary food to get your up and down with the fuel needed to sustain you. 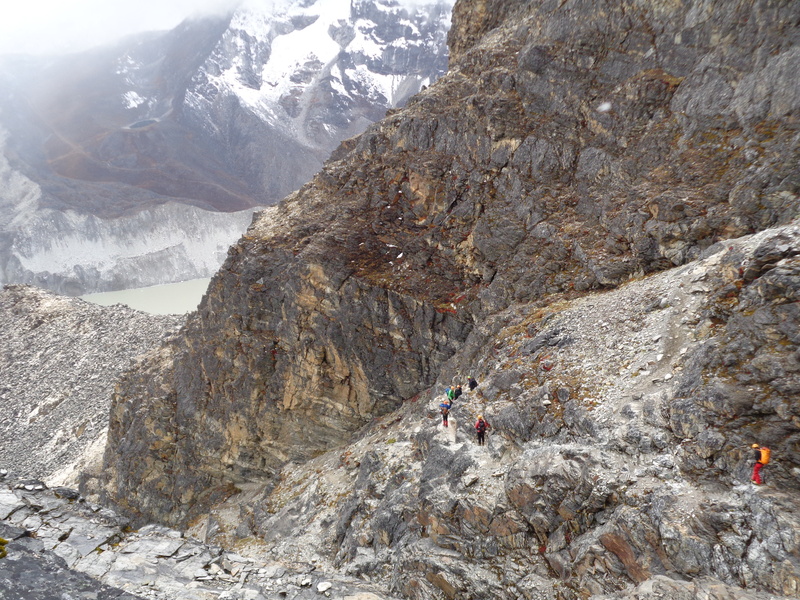 The long way down to the glacier on Island peak. Q: Do I need permission? Q: Which route should I take? You need a permit to climb Island peak and we manage this in Kathmandu, we also need to register in Namche and checked again in Island peak. You can not roll up and climb the mountain. Ian Taylor Trekking manages all the forms, so you don’t have to worry about it. There is really only one route to climb Island peak, the key is to have 2 nights in Island peak base camp at 5,100m/ 16,732ft and use the high camp at 5,500m/ 18,044ft before going on your summit attempt. We also have 3 nights in Namche Bazaar around 3,500m/ 11,500ft any less than this and you run the risk of getting high altitude sickness and not making the summit and having serious life threatening issues. Be safe, be smart, give altitude and the mountain the respect it deserves. Waiting for my turn to abseil down the head wall on Island peak. 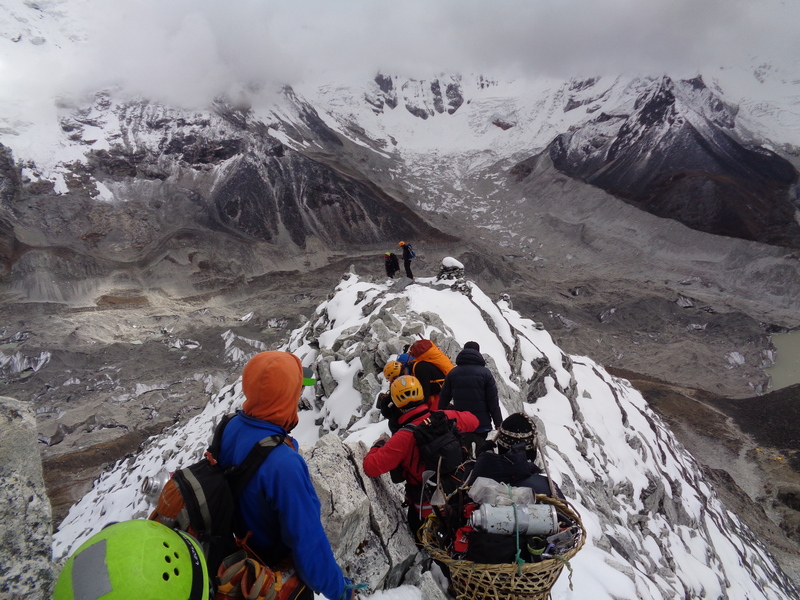 We highly recommend you spend 14 days acclimatizing before making a summit attempt on Island peak. All in, this is a 3 week adventure. You can always spend more time in Kathmandu, visit Pokhara, go rafting and there is plenty of sightseeing to do in Nepal. Check out our Unique itinerary on our Island Peak page. You will experience a wide range of temperatures from +20c to –20c depending on the month you are looking at climbing Island peak. 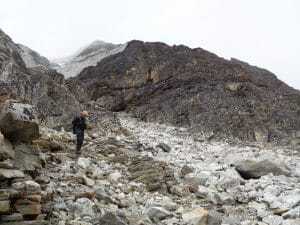 Typically once you climbing in April, May, late September and October the day time temperatures range from 0c to 15c on the trek in and typically it is – 5c to – 10c on the summit night on Island peak. Once the sun comes up it gets warmer and can be warm coming down from the summit. If the weather is cloudy and windy, this will make it feel colder. Be prepared for every type of weather when climbing Island peak. 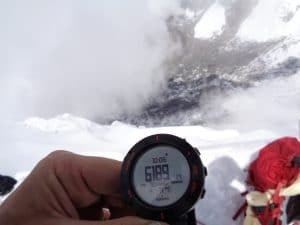 Altitude is always a risk, to ensure as safe an experience as possible you need to spend as much time as possible acclimatizing. We spend 3 nights in Namche Bazaar 3,500m/ 11,500ft, 3 nights in Dingbouche 4,410m/ 14,468ft before heading towards Island peak base camp 5,100m/ 16,732ft. 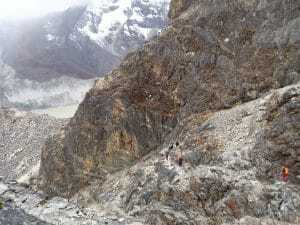 You will have been up to Everest base camp 5,364m/ 17,500ft and Kala Phattar 5,545m/ 18,192ft You can take Diamox on the mountain if your doctor prescribes it. You need to keep as hydrated as possible, and cover the distances as slowly as possible. You don’t want to over exert yourself physically so moving slowly each day aids in the acclimatization process. 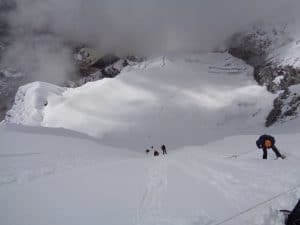 The Golden Rules of Altitude Sickness If you do not feel well, you may have altitude sickness until proven otherwise, do not ascend further if you have symptoms of altitude sickness. If you are getting worse then descend immediately. 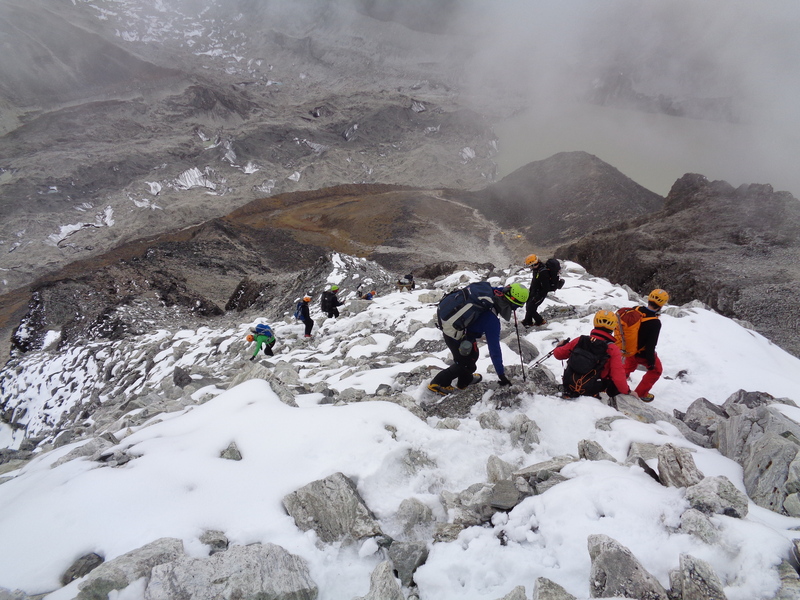 Every year, people die of altitude sickness and all of these deaths are preventable. 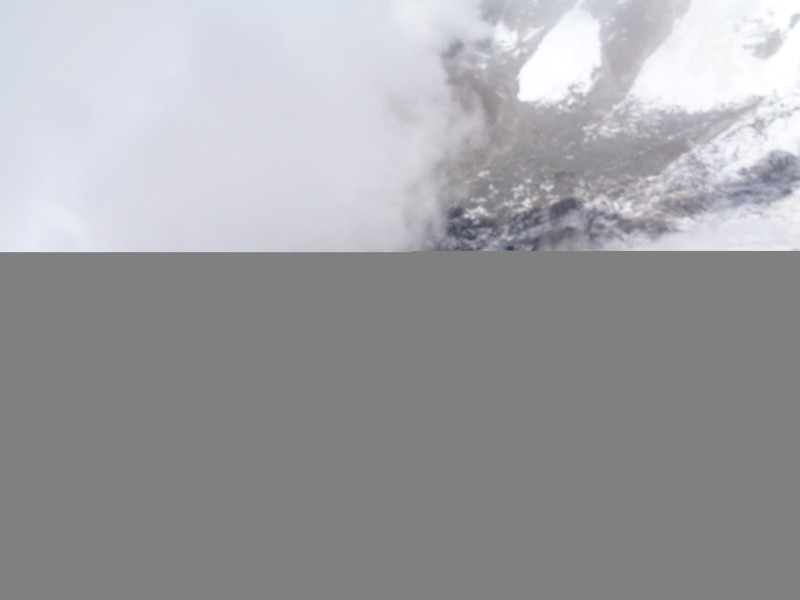 If you are travelling above 8,000 feet/ 2,500m you are at risk of altitude sickness. read more on this. 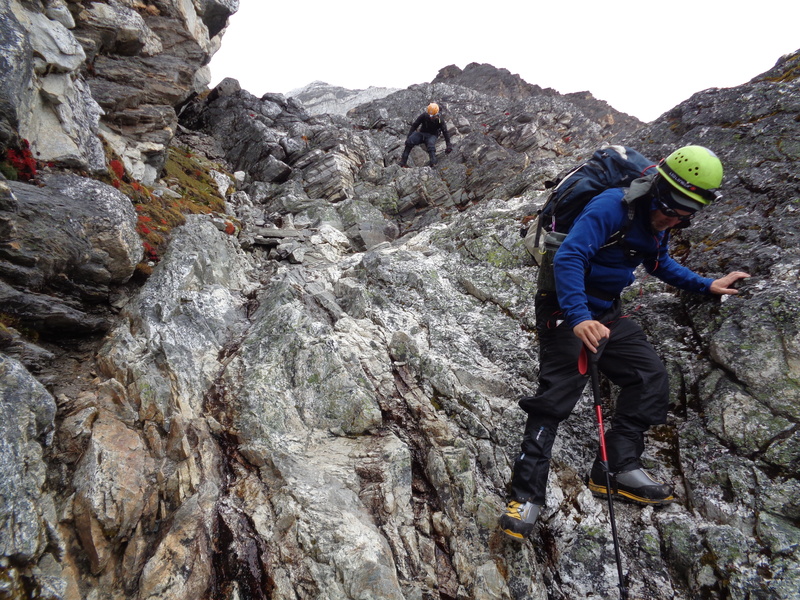 Steep and challenging terrain as you go up and down Island peak. Their own fear, having the right training, mountain experience and a positive frame of mind is so important. If you have done all the preparation and training, you should feel confident in your own ability and your gear. Other people find it hard to adjust to camping life. It is important to get into a routine, once you get into camp, clean up change cloths. Set up your tent, sleep bag and mattress and get comfortable. Tackling each day at a time is a great way to focus on. Just focus on each days walking as it comes and enjoy the journey rather than focusing on the top. You will get there. 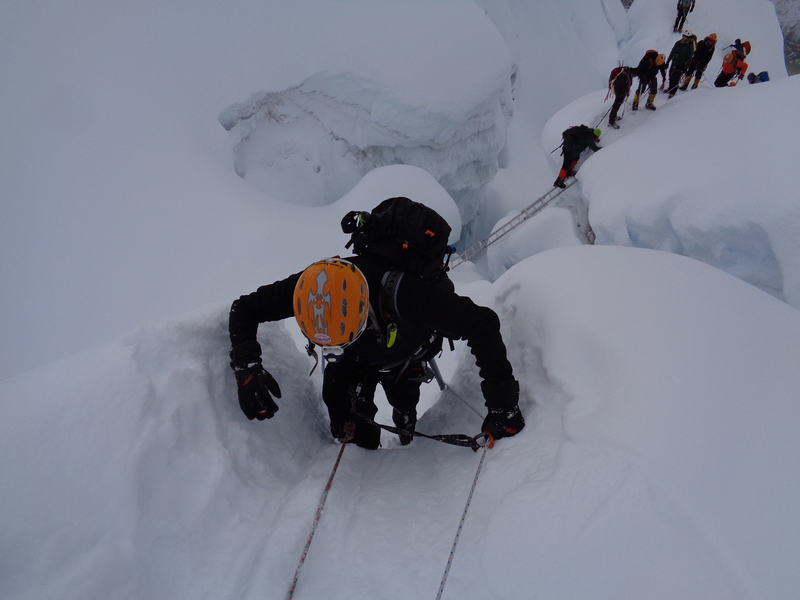 The terrain on Island peak is not straight forward so you need to come physically prepared. How difficult is the Island peak climb in Nepal? Island peak is achievable for most people if you have the technical training and you come with excellent physical conditioning. What is more important is having an excellent acclimatization schedule. 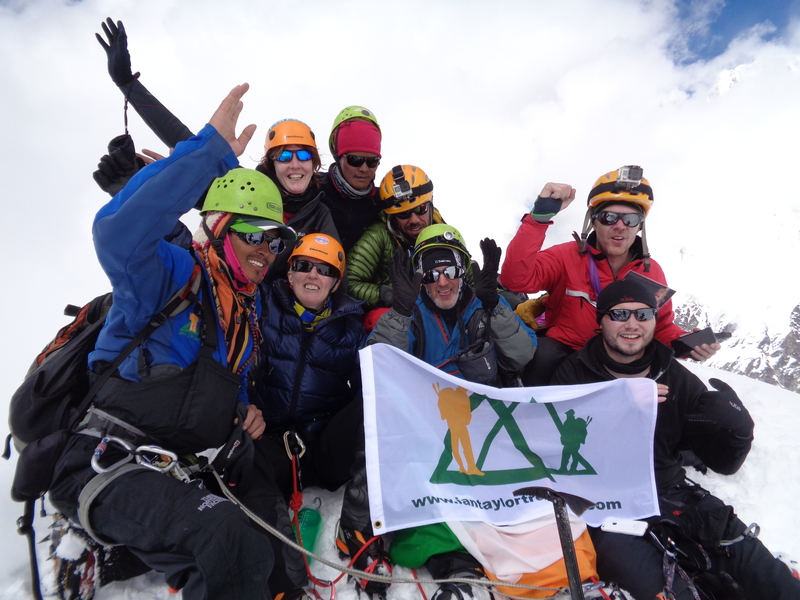 I have brought a number of climbers in their 50’s to the summit. The summit is achievable for most people. If you put in the preparation, spend the right amount of time on the mountain then you have a great shot at reaching the summit. Coming down Island peak through the gully. Steep and challenging on the way up and down. Go camping, get out and use your gear, get out in all sorts of weather and get training, see a personal trainer, gym instructor if you are concerned about how to physically prepare. We can also answer any questions you may have at any stage. I have climbed Island peak 10+ times now and happy to help you in your preparation. 5,550m high on Island peak on route back to the High camp. Depending on where you flight from in the world, the pricing will be different. You can pay anywhere from $700 – $1,600 for flights. When it come to your personal insurance, clothing, Visa entry fee you can spend up to $3,000 you need proper hiking boots, gloves, thermals, down jacket, gortex etc. the cost will all depend on the amount of gear you already have. In terms of the service the prices range from $3,800 – $7,000 depending on the service you require. We pay all our staff and porters the correct wages and do not cut corners on our service and trips. We want you to be successful and we are here to support you in your endeavor of climbing Island peak. How difficult is the Island peak climb in Nepal call us and find our more. We can help you.